That design can be described in one four letter word: Lazy. @Dezzy Well, if you didn't play ANY of the original Halo games, then on the one hand you'll possibly be glad to be able to play the modernized versions of all of them, especially the first two, but on the other hand, you'll have missed, and won't be able to appreciate how much these earlier games have been upgraded, because the first two games especially, have had considerable graphical overhauls, compared to their original versions. @redd214 Hope you don't mind me asking, but what do you intend to do with all these Xboxes? Correct me if I'm wrong, but far as I can recall, this isn't the first time I've seen you mentioning buying several. I'd played the first 2 games previously on the original Xbox. But not 3 or 4 on the 360. To that end, I have much higher hopes for XCloud for real game "rentals" than that Google monstrosity. Price pending, XCloud could be a lot cooler than Game Pass as a rental. If you have internet for it, of course. As long as you can buy one month blocks and not be locked into a recurring sub (fat chance, I know.) I'm not anti-rental, rentals are great. I'm just anti-trying to replace what works with "more monetizable" schemes. Everyone knows renting is worse than buying, but might be handy. They try to position streaming as better than buying. 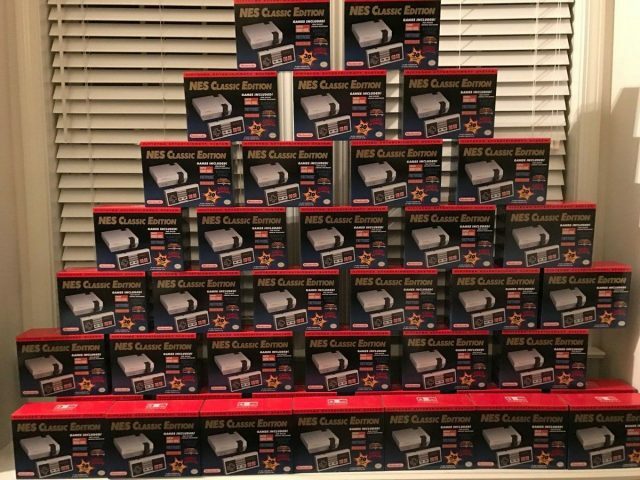 On a side note: in all honesty, I never liked the practice of scalping in the first place, but didn't care that much either way, until the whole Classic Mini NES and SNES debacle, during which it became clear to me how many SOB's profit over the backs of honest people, and that REALLY triggered me/fanned the flames. I personally already had to more or less move heaven and earth to get my hands on each of them, so people making that even more difficult and subsequently asking astronomical prices for them, are of the lowest kind, in my book. @Dezzy Aha, so you never played the remasters of 1 and 2, then? If so, you'll be in for a treat, if you're planning to get the entire Master Chief Collection, that is. The next couple installments are pretty good as well, but the first two really stand out graphically, especially if you put them side by side. @NEStalgia Agreed on all of that. I'll definitely be hating all of it, if that is what gaming is ultimately going to become, retreating to my retro-cave and settling down to spend the rest of my life hopefully being able to finish off the rest of my massive, multi-console (and handheld) back log before I finally leave this Earth for good. But hey, we've got Cuphead on Switch now, so with Nintendo and Microsoft getting more buddy-buddy all the time, who cares about Google and their streaming fluff, right? @ThanosReXXX haha thanks man. I get what you're saying. I don't do it to get rich mainly just to fund my own gaming habit. I mean in this particular case I'd be selling them for less than what someone could buy in a store anyways and making a bit off of it. Win win imo. And yeah the classics were selling for crazy prices at launch. I ended up literally lucking into a couple SNES at Target. I was shopping for something and they were unloading them out of boxes just as I was walking by. Kept one and sold one, for retail Price, to a friend. Please don't share pictures of redd214's house. @Morpheel lol. If I brought all those into my house with my clutter hating wife, the next pic would be of her stabbing me haha. I played and beat Human Revolution (@NEStalgia's recommendation) but oh man on Wii U the frame rate is rubbish. I assume that on Xbox One it runs better. I think that Google Stadia will be appealing for some PC players with fibre broadband but I can't imagine people playing console/PC games on a phone... on a tablet perhaps (same market as Switch?). Xbox One S All-Digital Edition is much more versatile than Stadia, no need to worry about ping, etc. @Dezzy Master Chief Collection also had HDR added recently so it's higher resolution, double frame rate and HDR and maybe some textures upgrade. I managed to (eventually) get both Classics, and a 2nd controller for my NES Classic (all at MSRP)... and that picture still makes me sad. Especially since both are now discontinued. @DarthNocturnal That's my exact sentiment, although over here, funnily enough, the SNES Mini is actually still available here and there. I've seen lone boxes sitting on store shelves in certain game shops in various parts of the city where I live. And to think how much trouble I went through to secure both of them. And like you, I also bought a second NES controller, so both mini consoles are now 2-player ready out of the box. @WebHead I don’t know how they managed it, but Microsoft has now created an Xbox One you’d have to stick a note on the front of to remind you what it actually is. Looking at that design without a disc slot makes it just become a giant white brick. Looking forward to seeing more Gears 5 hope its good. The communication from Phil is nice but we need to start seeing receipts. Has something been announced that I've missed? When are we seeing more Gears 5? @Dezzy Yeah, the Google Dream; the information delivery service that uploads it directly to your mind. No need to look it up, and you get exclusive news first! @Dezzy nothing announced but will obviously be present at E3.